Looking "where to sell my 1963 Chevrolet Corvette Split Window?" Ask the Chicago Car Club! Are you wondering "where to sell my 1963 Chevrolet Corvette Split Window ?" The Chicago Car Club is interested in classic cars of all makes and models, especially a 1963 Chevrolet Corvette Split Window. We make the process of selling your 1963 Chevrolet Corvette Split Window quick and painless. In just a matter of hours we will have your classic valued and, if you do so choose, turned into money in your pocket. All it takes is a phone call or electronic inquiry to get the ball rolling. Built in St. Louis Missouri, the ‘63 Corvette was the first rendition of the Corvette’s second generation. The car sold well; production that year reached a total of 21,513 cars, 50% more than the previous record-setting 1962 Corvette. The 1963 model year coupes are easily identifiable by their two piece, or “split” rear window. 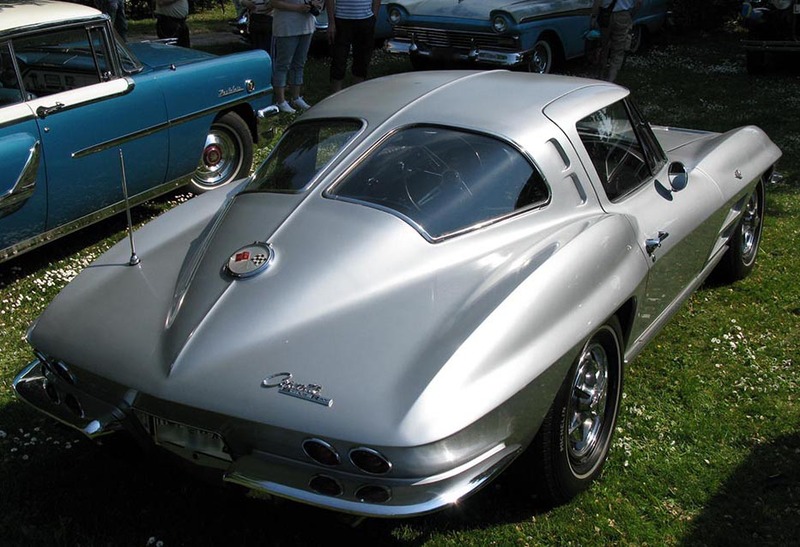 While Corvette chief engineer Zora Arkus-Duntov never liked the split rear window because it blocked rear vision, designer Bill Mitchell felt it was a key part of the design. The car had a curb weight of 3015lbs and measured 175 inches in length, with a 98 inch wheelbase. All 1963 cars had 327 cubic inch V8s, which made 250 hp standard, with optional variants that made 300 hp, 340 hp and 360 hp.